Multi-Housing News hosted their annual Commercial Property Executive Distinguished Achievement Awards and Multi-Housing News Excellence Awards last Thursday at the Resource Furniture Showroom in New York City. 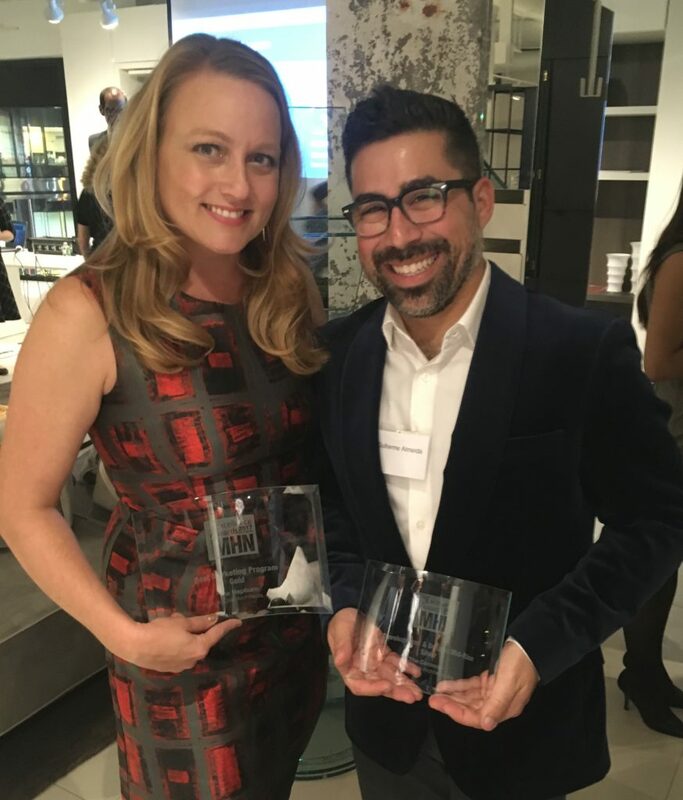 Hickok Cole’s Sarah Barr, Director of Hickok Cole Creative, and Guil Almeida were in attendance, accepting two Multi-Housing News Excellence Awards on behalf of the firm for our work on two of DC’s hottest new residential offerings – The Corcoran and The Hepburn. 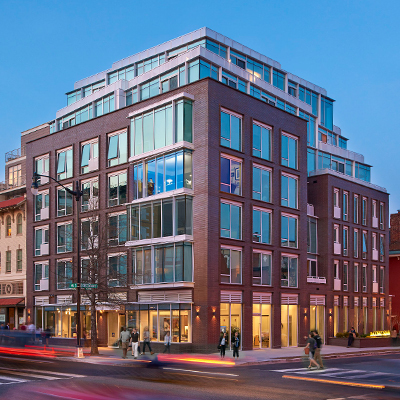 The Corcoran, a 34,000 SF, 35-unit apartment building along DC’s 14th Street corridor, won Silver in the Development & Design: Mid-Rise category. 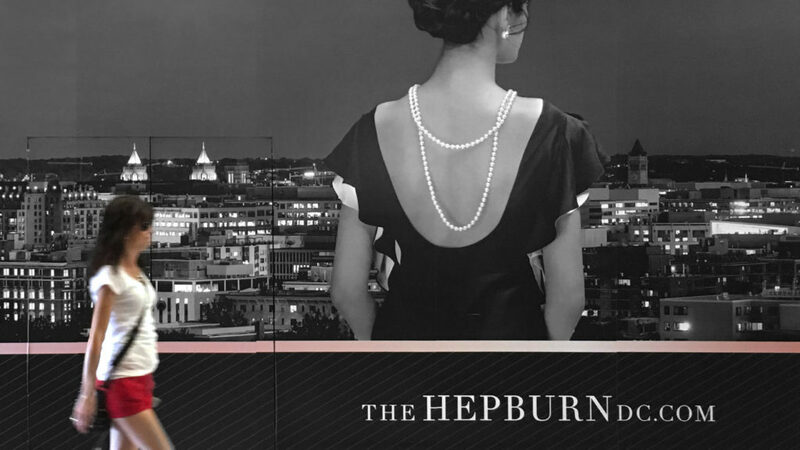 The Hepburn, a 260,000 SF luxury apartment building for which Hickok Cole Creative provided branding and marketing services, won Gold in the Best Marketing category. Congratulations to The Corcoran and The Hepburn teams! Contact us to learn more about Hickok Cole’s Residential and Creative teams. 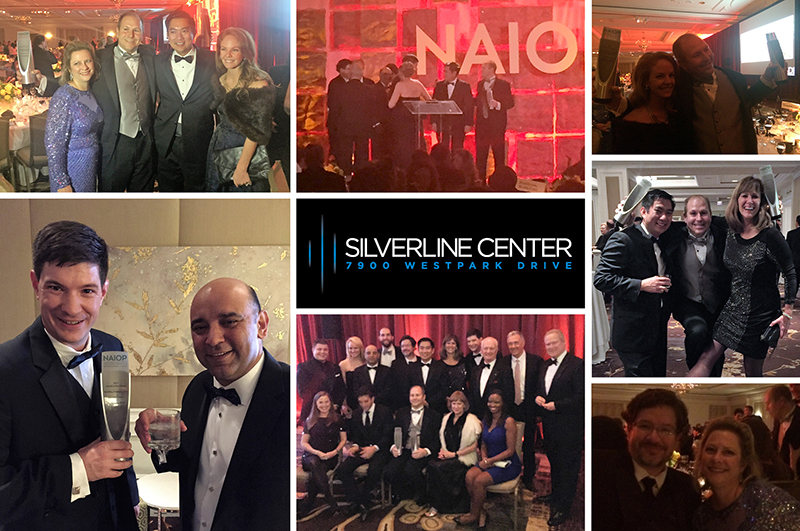 Silverline Center won big with two awards, nabbing the Award of Excellence for Best Building Common Area & Award of Excellence for Best Building Repositioning at the NAIOP Northern Virginia Awards Gala. Congrats to all involved and our partners Washington REIT and DAVIS Constructruction for this well deserved award.